Quin pledged her life to deception. Her legacy as a Seeker is not noble but savage. Her father - a killer. Her uncle - a liar. Her mother - a casualty. And the boy she once loved is out for vengeance, with her family in his sights. 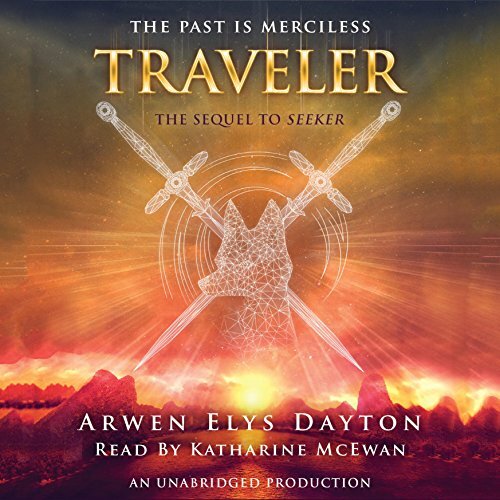 Would you consider the audio edition of Traveler to be better than the print version? I prefer audio while running vs. having to change hands all the time. Which character – as performed by Katharine McEwen – was your favorite? I look forward to seeing Quin on the big screen! That never happens in my case. Give it a shot -- it starts out well! The story is poorly structured. it gets so boring it's easy to lose interest in it. This is beginning to get very convoluted and mixed up. The actin is Great when. You have it , other than that. No way... S..L..O..W..
And the back and forth between times and stories was confusing as all get out. I loved this series. I haven't been able to sit down and read or listen to a book since my child was born 3 years ago. I first read Seeker and was hooked! !